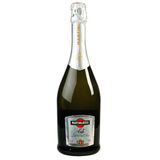 With his gold label and Special Premium Reserve appellation, Ichiban outclasses and outperforms. In 1990, Ichiban's debut made a splash in the world of super premium beers. The luxurious single wort (or first press) process yields a unique, complex flavor. With his gold label and "Special Premium Reserve" appellation, Ichiban outclasses and outperforms. But don't be fooled by a snooty attitude -- this is a great beer that goes with anything. What makes Ichiban great: Prominent wort. Finest barley malt, premium hops, smooth finish, no bitter aftertaste.